Posted by LakvisionTV on 17 Jul 2018 (8:33 PM). Hosted on the Internet. The Archbishop of Sri Lanka Cardinal Malcolm Ranjith says that the public has the right to know what the intelligence communities know. MORE..
UPDATE- The Negombo-Colombo road has been reopened for traffic as no explosives were found in the parked car near the Nawaloka Ground in Welisara. 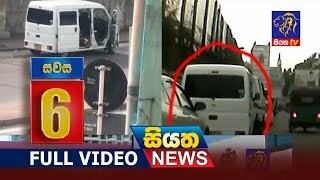 MORE..
Nine persons among the 24 suspects arrested over the Easter Day attacks have been remanded until 6th of May under the orders of the Colombo Magistrate s Court. MORE..